Aviation Updates Philippines - The leading low cost and long haul carrier, AirAsia X Berhad, recently announced that it will be increasing flights between Kuala Lumpur and Kalibo starting October 23. 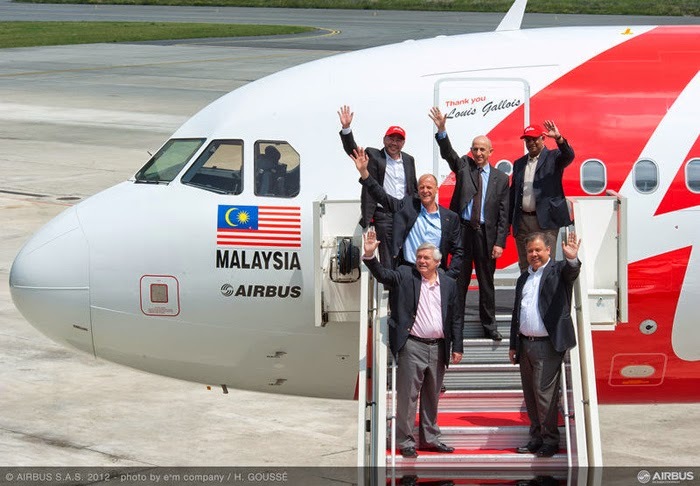 According to the Malaysian carrier, they will offer guests a more flexible travel schedule and better flight connections. "With this additional frequency, guests who are travelling on this route can connect to both Kuala Lumpur and Kalibo on a daily basis, and this will enable them to further take advantage of our vast route network, especially via Kuala Lumpur. Kalibo is a great gateway to Boracay, and we are proud to be the airline that offers the best connectivity to this paradise island from Malaysia with our daily flights," Spencer Lee, AirAsia Berhad head of commercial said. Flights from Kuala Lumpur to Kalibo will be increased from four times a week to seven times a week. The new and improved schedule will be effective starting October 23 this year, preparing for the very busy Christmas or holiday season. AirAsia recently offered promotional all-in-fares from as low as RM199 one way from Kuala Lumpur to Kalibo (Boracay) for all bookings made from now until July 27, 2014. The travel period was scheduled from July 14, 2014 to March 28, 2015. According to the Philippine Flight Network, the new flights between Kuala Lumpur and Kalibo will be added on Tuesday, Thursday, and Saturday adding to the existing four flights per week. The first flight of the said route was on April 18 utilizing its Airbus A320 aircraft. This increased frequency will enable more passengers to experience the beauty of the 7,107 Philippine islands including the white sand beaches in Boracay island. AirAsia Zest will fly you to several domestic destinations such as Tacloban, Puerto Princesa, Tagbilaran, Kalibo, and Cebu. AirAsia X Berhad, recently voted as the World's Best Low Cost Airline, currently operates 21 aircraft, compromising of 19 Airbus A330-300 including 2 Airbus A340-300. The airline is currently ordering 39 more Airbus A330-300 and 10 Airbus A350-900.